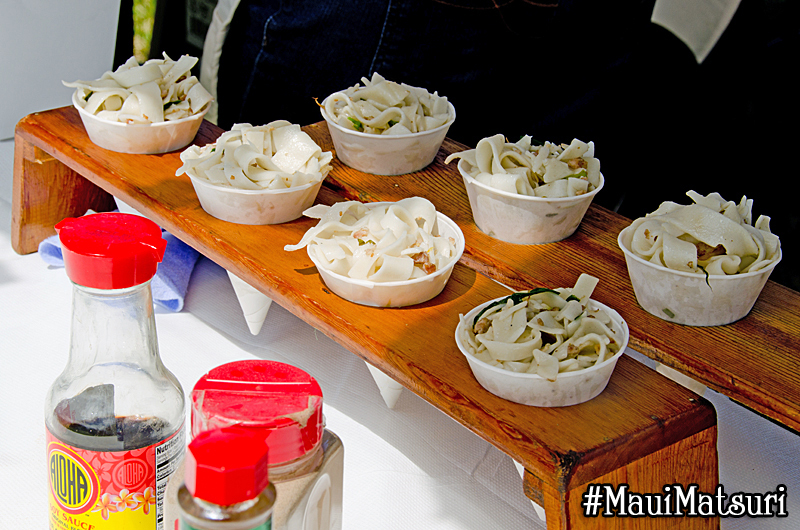 Are you ready for the 14th Annual Maui Matsuri festival? I don’t know about you, but I can hardly contain my excitement! I’ve already started working on a festival checklist, and the event is still a few weeks away! Charge camera phone for selfies & photo ops with Hello Kitty. Wear stretchy pants to accommodate food consumption. Go to the ATM for some spending money. Get pumped up & work up an appetite (refer back to “wear stretchy pants”). Bring reusable grocery bags for omiyage (gifts) & take-out food. Write a blog post about the festival. Check! “Matsuri” means “Japanese festival,” and the Maui Matsuri incorporates some of the most notable cultural exhibits, educational activities, entertainment and food in order to bring the community together to celebrate Japanese American history, heritage and culture on Maui. The event is produced for the public by a volunteer team, and admission is free. The official theme of the festival is “kodomo no tame ni” or “for the sake of the children.” Each year, the popularity of Maui Matsuri grows, and there are thousands of people in attendance. Proceeds of the event go to the Japanese Cultural Society of Maui to support the work they do to preserve and perpetuate Japanese culture on Maui. 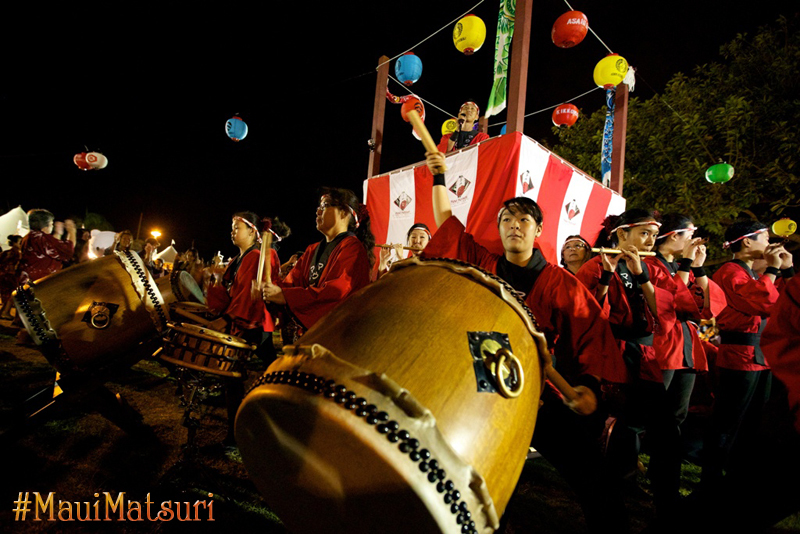 The 2014 Maui Matsuri festivities will begin on Friday, May 2 for the kickoff event, featuring karaoke, taiko, kendama, obon odori (bon dance) practice, and more from 6:30 p.m. to 9:00 p.m. at Queen Ka’ahumanu Mall center stage. The festivities continue the following weekend on Friday, May 9 with a storytelling night from 6:30 p.m. to 9:00 p.m. at the University of Hawaii – Maui College student center (Pilina Building) in Kahului, followed by the actual Maui Matsuri festival on Saturday, May 10 from 2:00 p.m. to 9:00 p.m. at the University of Hawaii – Maui College great lawn or courtyard. This is the first year that Maui Matsuri is introducing the storytelling night on Friday, May 9, and it will feature fables and stories from Hawaii and Japan, including obake (ghost) stories. One of the performers for this event will be Maui’s own “Tita,” radio personality, actress and emcee, Kathy Collins. Onolicious grinds (delicious food). What can be better than being able to savor fresh and tasty poke bowls, bento, abalone, teriyaki, chow fun, poi mochi and shave ice conveniently in one place? You only have to walk a few steps to get to all of these amazing food booths instead of driving all over town. Contests gallore. 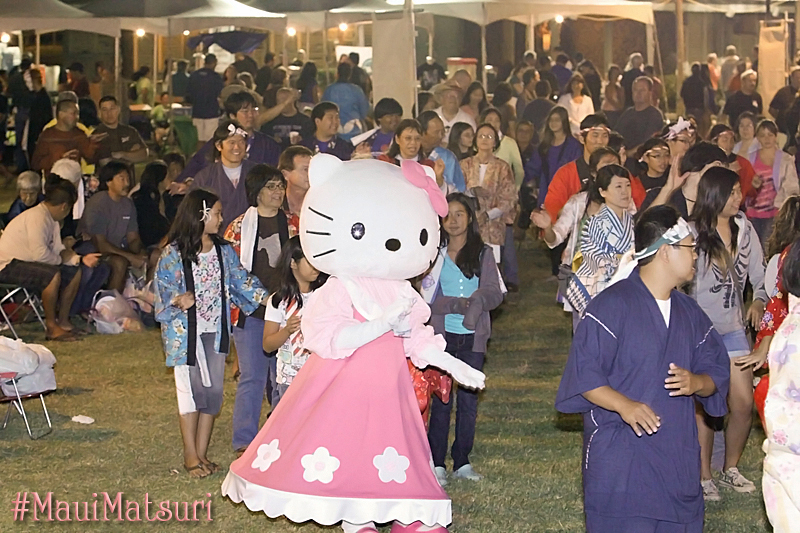 Maui Matsuri will have the following contests: eating (natto and saimin), hanafuda/sakura (Japanese card game), Cosplay (costume), video-gaming, kendama, and Manga (Japanese comic cartoon or anime) and art drawing. If you are competitive at heart, want to have fun with your friends, or just love to people-watch as others compete for prizes and bragging rights, this part of the festival is definitely for you. Live entertainment and demonstrations. From taiko (Japanese drumming) and karate demonstrations, to Japanese singers like Hikariyama Torao, A.K.A. Tevita Apina (who also just won the karaoke contest at Kawaii Kon, by the way… wow!) 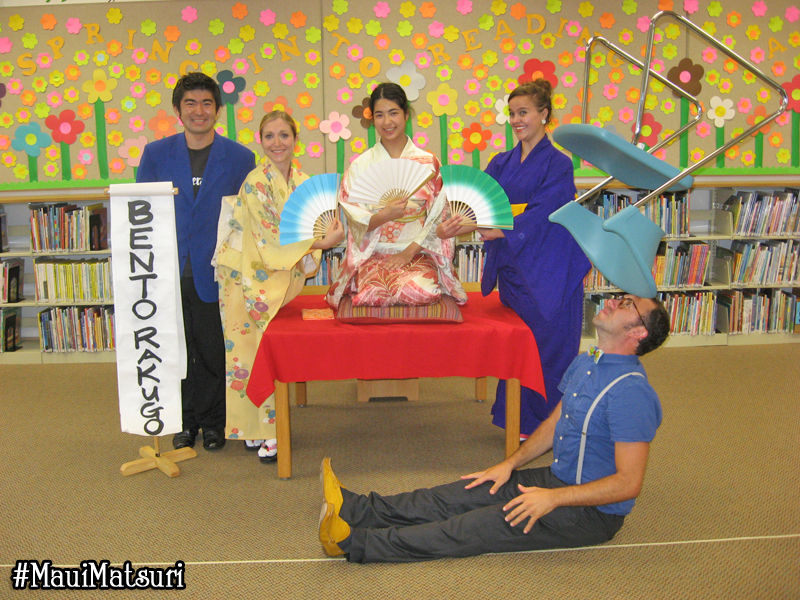 and the group Bento Rakugo from Oahu that specializes in magic shows and variety acts. Bento Rakugo also tells obake (ghost) stories and will be performing on Friday, May 9 for the storytelling night. Kodomo (kids) corner. If you are looking for fun for the entire family, this is the place to be! The kids will enjoy a variety of activities, while the adults join in the fun, snap a few pictures, or simply take a moment to savor their chow fun and poi mochi. Some of the activities at this year’s festival include: make your own hachimaki (Japanese headband), gyotaku (fish printing & painting), and Japanese food games such as a colorful dango (rice dumpling) stacking game and takoyaki flipping. Cultural exhibits. Bonsai, Mokichi Okada Association (MOA) Sangetsu flower arranging, Maui Ki-Aikido martial arts, Consulate General of Japan, and the art of calligraphy are just some of the many exhibits you can visit at this year’s festival. Craft booths. Buy local. Support local. Meet local artists, crafters and vendors, many of whom feature Made in Maui or Made in Hawaii products. Obon odori or bon dance (Japanese group dancing). Kickoff the Maui obon season with obon odori on the great lawn. Follow along and join in the dancing dressed as you are. No kimono or happi (pronounced “hoppy”) coat? No problem! T-shirts and rubba slippas welcome. Arigato (thanks) for your support, and I look forward to seeing you at the festival! As the P.R., Marketing & Social Media Chair for Maui Matsuri, I’m sure you will see me there. 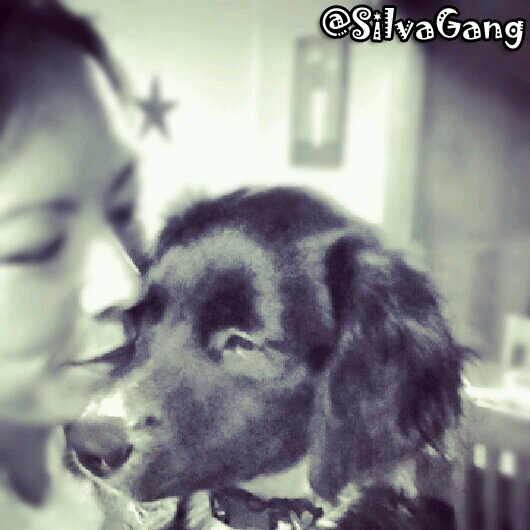 Look for the gal running around, taking photos, and posting about the event with the rest of our social media team. The other members of our social media team include: Brian Nagami, Jody Yoshida, Sherman Peros, Yuki Lei Sugimura and Kay Fukumoto. If you know any of them, please feel free to say “hi” and stop them for a photo op! The festival website is www.mauimatsuri.com, and the official hashtag for the event is #MauiMatsuri. There will be 2 Instagram contests this year, and the winners will receive free festival t-shirts, so be sure to like/follow Maui Matsuri on Facebook, Instagram and Twitter to get all the contest announcements.